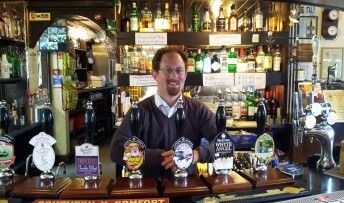 Cambridge pubs offering live amplified music to fewer than 200 customers will no longer need a licence following the success of a Lib Dem-led Bill backed by the city’s MP Julian Huppert. The Live Music Act could help threatened Cambridge pubs survive as it removes the bureaucratic red tape surrounding live music events. “This is extremely good news for small venues which were being crippled by unnecessary licensing restrictions,” said Julian. “It means that pubs or groups which want to organise small events with live music no longer have to go through the licensing process. The change in the law was also welcomed by Steve Pelligrini at the city’s Portland Arms in Chesterton Road. He has a music licence for six nights a week and has just doubled the capacity of the pub’s gig room which officially opens on Saturday. “There is a lot of musical talent in Cambridge and very few places to play,” he said. “The lifting of the restrictions will make a big difference to small venues which may want to offer a charity night or music a couple of nights a month. The change in regulations championed by Bath MP, Lib Dem Don Foster, will remove restrictions for unamplified music and for amplified music performed to audiences fewer than 200 people.